The Abyssal Ruins are accessed in Pokémon Black, White, Black 2 and White 2 by using the HM move Dive over one of the dark patches of water in Undella Bay. There are four patches on the North, East, South and West. Inside Abyssal Ruins are many Relic items: valuable treasures that can be sold for many thousands of PokéDollars. They also contain most of the Arceus Plates - Pokémon hold items that raise the attack power of a specific type by 20%. For example the Flame Plate raises the power of Fire type moves. You can only travel up to 500 steps at a time before a torrent of water washes you out, but you can go straight back in again. 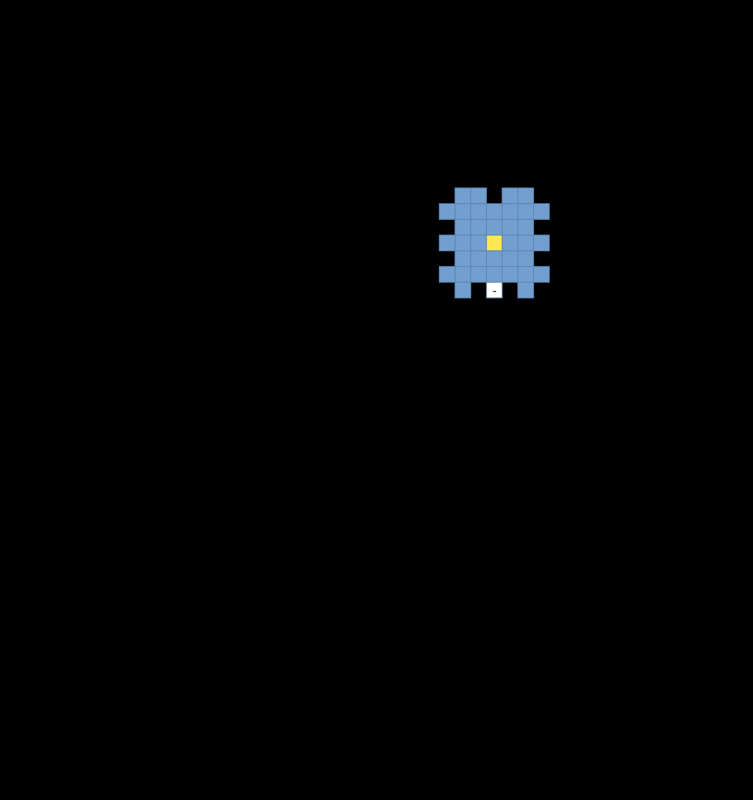 The game warns of a dull echo getting closer every 100 steps. There are four levels in total. To get to the second level, you must travel directly to the central area upon entrance, without deviating or back-tracking. Press A on the pink block with writing on and it will move. 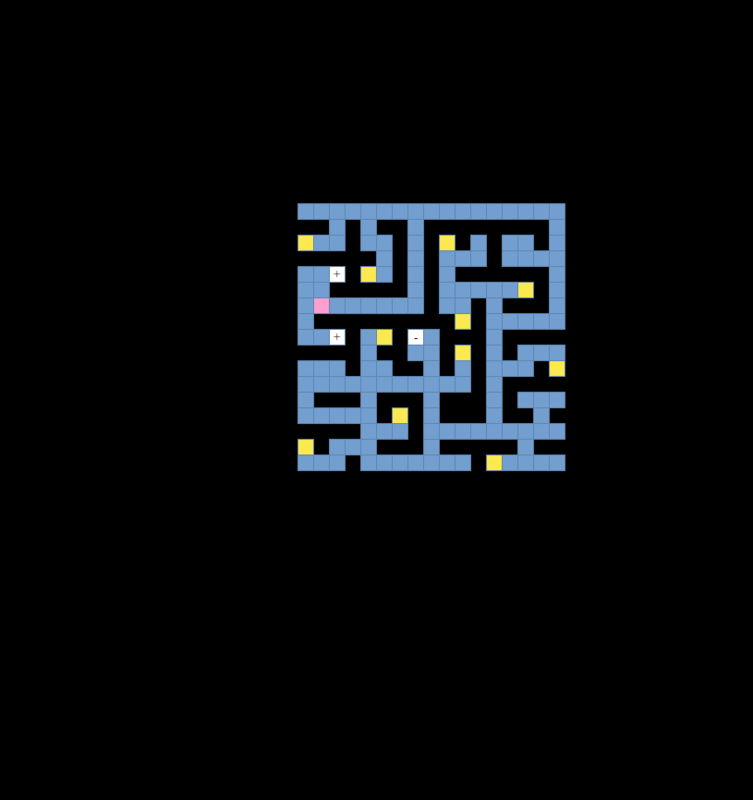 On the second level, you need to use Flash on the pink block (indicated on the map below) to get to the next level. 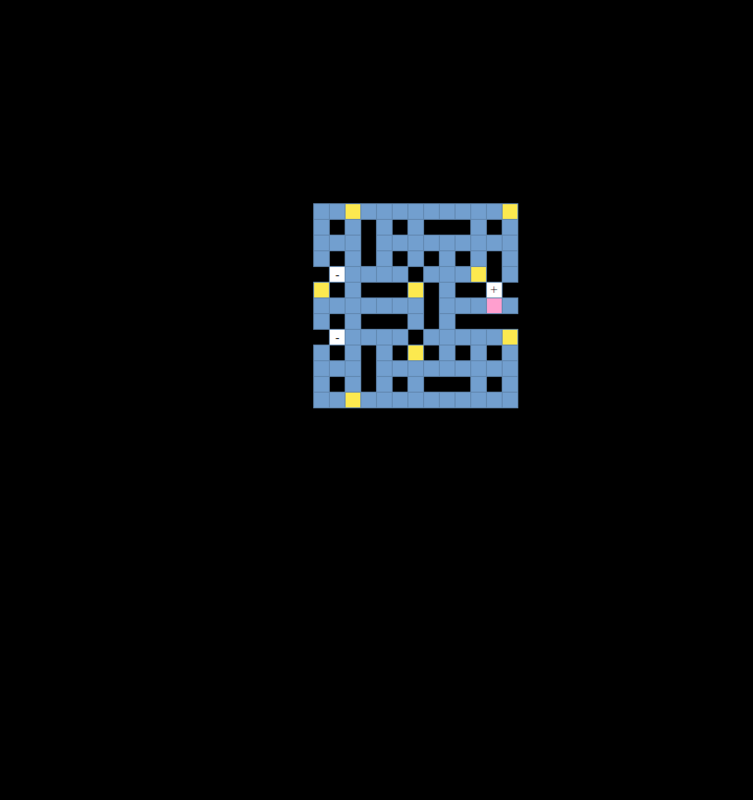 On the third level you must use Strength on the specified block to get to the final room on the fourth level. 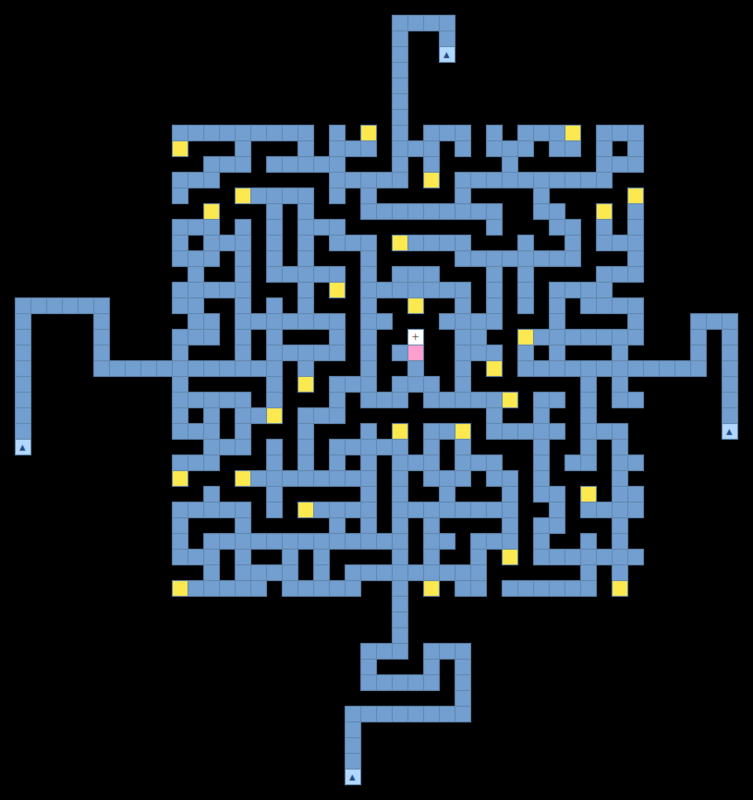 Key: blue squares are the path, with the four entrances marked by a triangle; yellow squares are items; pink squares are the movable blocks as described above; white squares with a plus sign show where you can go up a level; squares with a minus sign show where you can go down.